Spring Competition: Review an Article on ScienceOpen & Enter a Drawing for an Amazon Kindle Fire Tablet! This Spring, we are organising a little competition for all you researchers! Review an article on ScienceOpen before the end of April, and we will enter you into a prize drawing for an Amazon Kindle Fire tablet. ScienceOpen counts currently more than 40 million articles including 3.7 million open access articles as well as more than 1.4 million preprint articles. All these articles are open on ScienceOpen to a fully transparent review process: open identities, open reports, and open interaction on the platform (see our precedent blogpost here). At ScienceOpen, we believe that “Open Science” is not just about sharing research data. For us, “Open Science” aims to make research and underlying data accessible in order to inform and allow researchers communities to take part in discussions regarding their field, increasing overall participation and relevant inclusion of different perspectives. 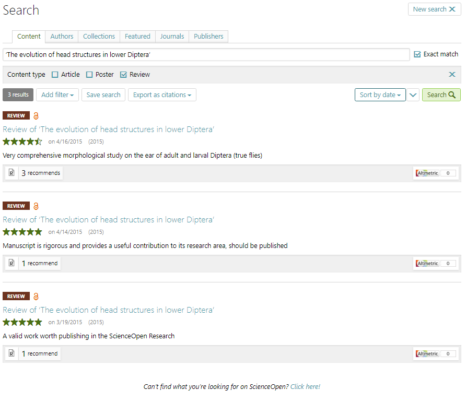 What does reviewing on ScienceOpen bring concretely to reviewers? → Reviews are published under Creative Commons Attribution License CC-BY (4.0) and will receive a Digital Object Identifier (DOI) from Crossref. This makes them fully equivalent to any Open Access publication, and they can be cited or integrated further into platforms like Publons, Impactstory, or ORCID. 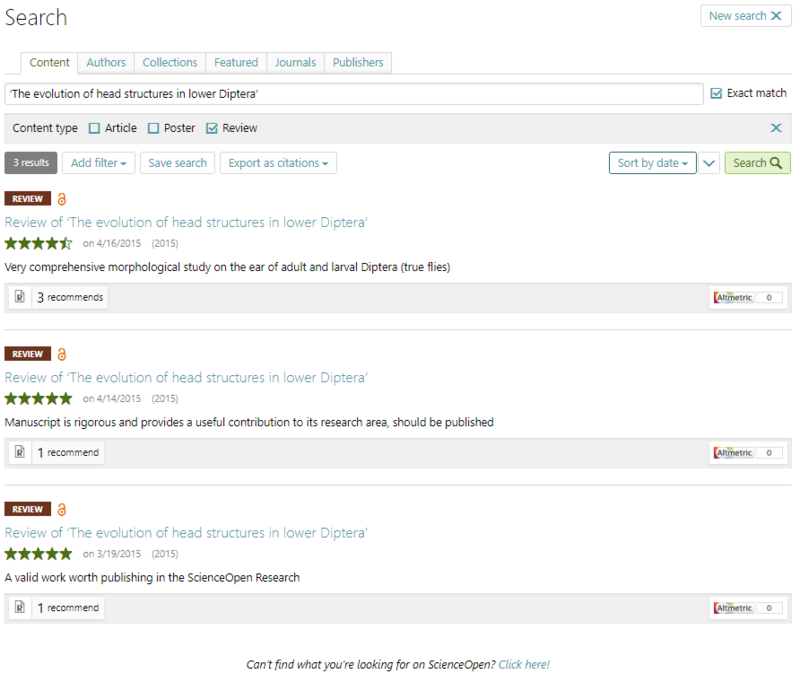 → As open access publications indexed on ScienceOpen, reviews are public and can be found easily on the platform using the filter “Content type”: “Review”. For a more precise search, this filter can be used for example in combination with the title of an article. → Reviewing articles on ScienceOpen is a great way to show the reviewer’s involvement in his/her research field and his/her appreciation for researchers who have dedicated their time to providing a research resource to their community. The only requirement to write a review on ScienceOpen is to be registered with ORCID (already done with a ScienceOpen profile) and have at least five publications assigned to the ORCID account (with which you reach ScienceOpen–Expert status). If you do not meet these requirements but would still like to review a paper, contact us. → Choose any article in your field and click “Review article”. You can also “Invite someone to review”. This video will help you in getting started. We look forward to your reviews & will announce the winner on April 30th, 2018!